In a FirstRound.com post Madhavan Ramanujam, Simon-Kucher & Partners, shares the story of Porsche's counter-intuitive move in the mid 1990s. In the mid 1990s Porsche's annual sales were a third of what they’d been the decade earlier when it almost died. The company badly needed a turnaround. So Porsche "designed the car around what customers needed, valued and were willing to pay for – in short, around its price. All the items customers weren’t willing to pay for, like Porsche’s famous six-speed racing transmission, were thrown out, even if their engineers loved them." In contrast Fiat Chrysler, which was also looking for a hit, "focused its development process on engineering and design, settling on a price for the car at the very end. Market performance was a disaster. It performed so poorly it eventually forced the company to issue temporary layoffs. Even though Fiat Chrysler was six times larger than Porsche, the company failed to craft a hit. That’s because the company thought about product first and price last. " So how to get product monetization right? Talk about price early in the product development process and figure out the acceptable, expensive and prohibitive prices. Apart from the price you charge how to chose what are you monetising - pricing by no. of users, product pricing, performance pricing etc. What works for you? 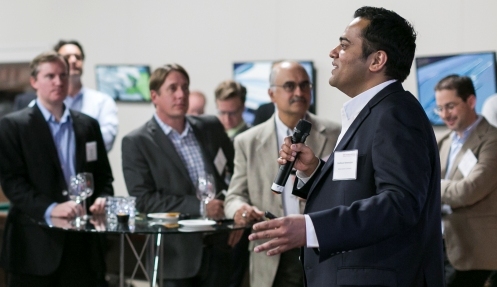 Ramanujam shares how Michelin executives revisited the company’s long-established monetization model to release a improved product. Ramanujam gives a step by step guide on how companies' can get their pricing right, the pitfalls you can dodge, case studies etc. Click here to continue reading.